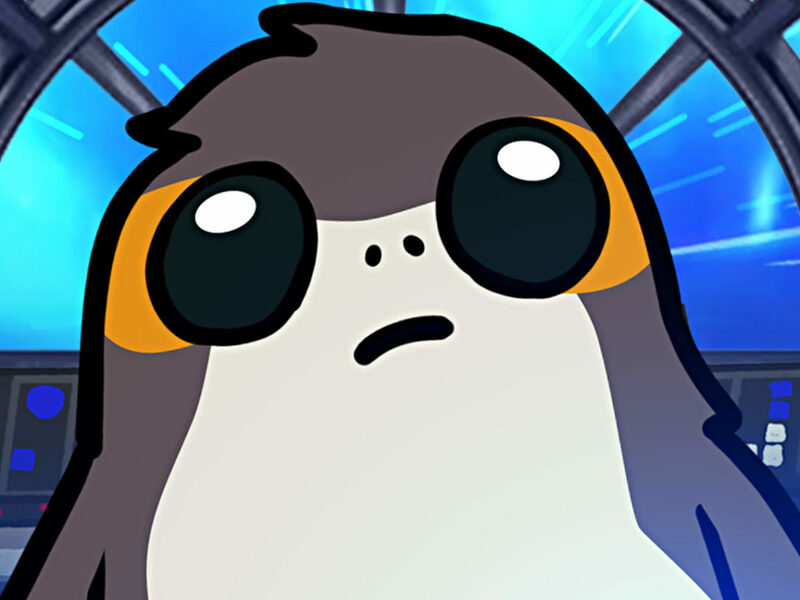 StarWars.com talks to designer Dávid Szűcs about Zen Studios' upcoming porg-powered table pack. 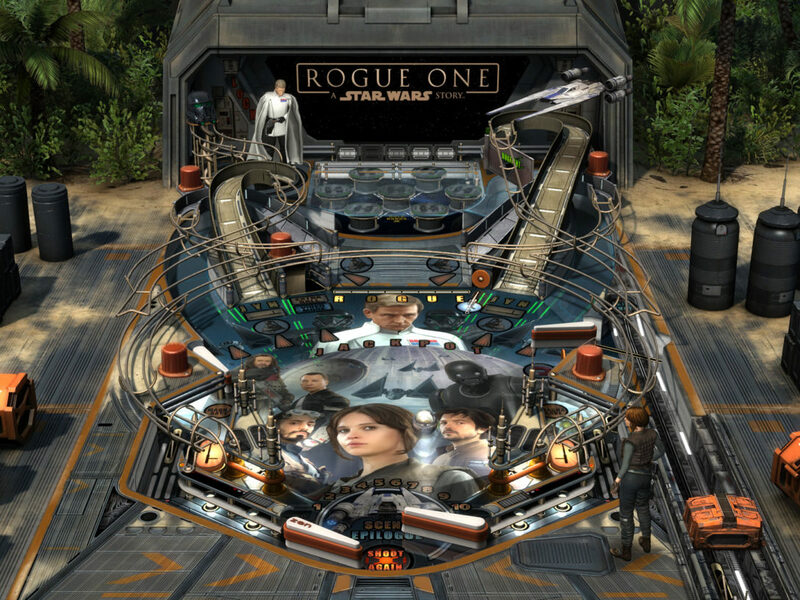 Zen Studios’ excellent Star Wars Pinball, available via Pinball FX3, has continuously delivered inspired tables based on the Star Wars films (and even Star Wars Rebels!). 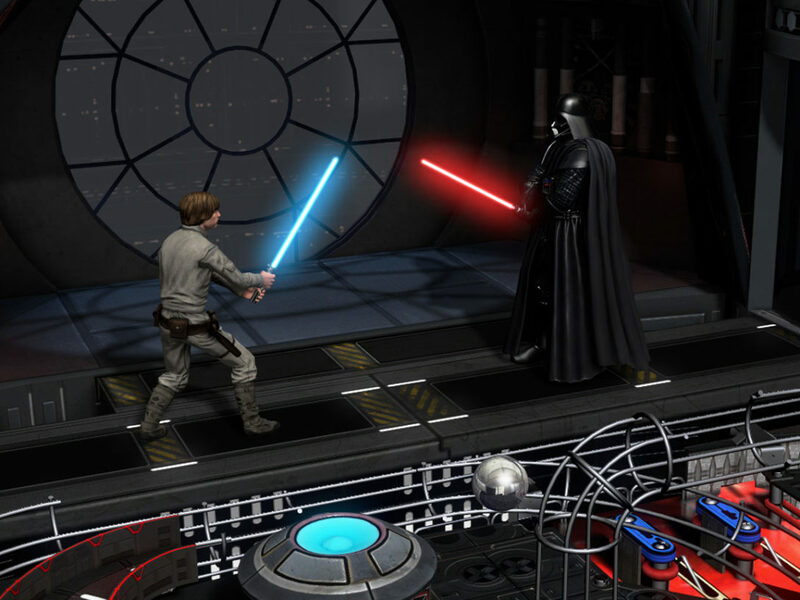 So StarWars.com is excited to announce that the pinball saga continues on April 17 with the release of The Last Jedi pack for PlayStation 4, XBox One, PC, and mobile devices. 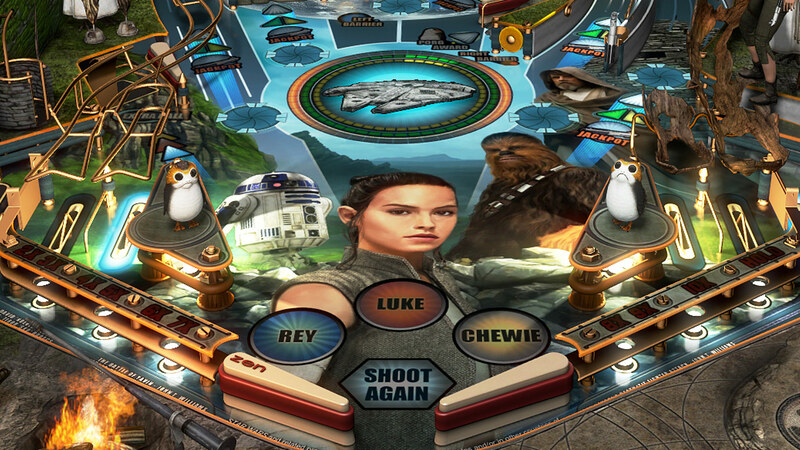 Star Wars Pinball: The Last Jedi will feature two tables: one based on the movie, and one called “Ahch-To Island,” which focuses on Rey’s time with Luke. 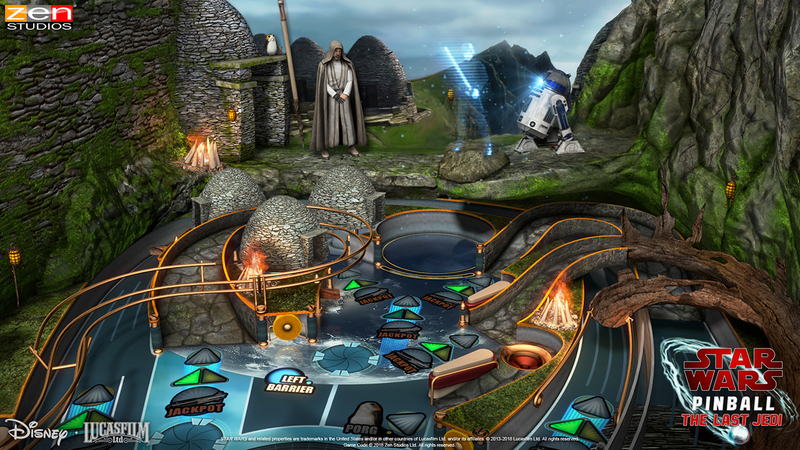 StarWars.com got some early play time with the game and loved it: The Last Jedi table impressively incorporates the film’s planets into the playfield, while offering cleverly designed paths and targets that trigger cool animations, like Finn versus Phasma, and you can also jump around in the story; on the Ahch-To table, ramps, habit-trails, and other elements are more organic, as if they’re part of the island. (Plus, based on your performance, Chewie can catch some porgs, which is just kind of amazing.) 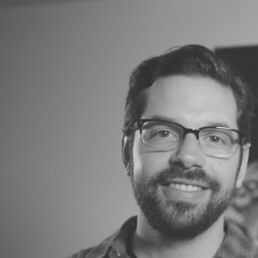 StarWars.com caught up over e-mail with Dávid Szűcs, Star Wars Pinball table designer, to discuss the making of The Last Jedi tables…and catching porgs. 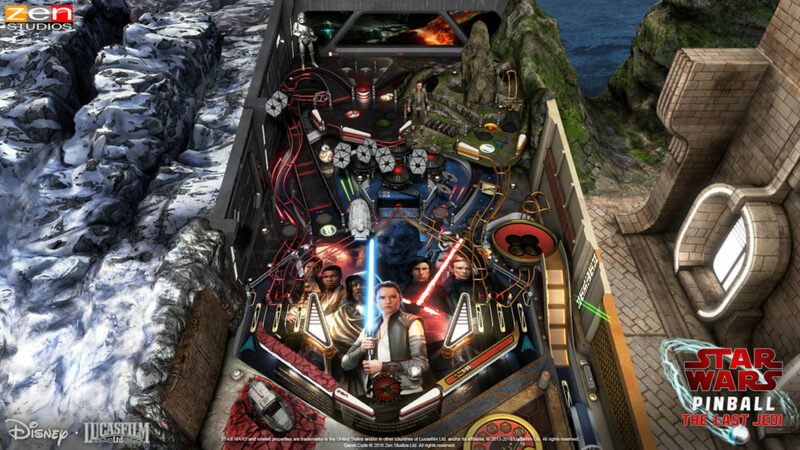 StarWars.com: Having been able to play the game early, what I loved was how both the Star Wars: The Last Jedi table and the Ahch-To table both feel like real pinball machines. 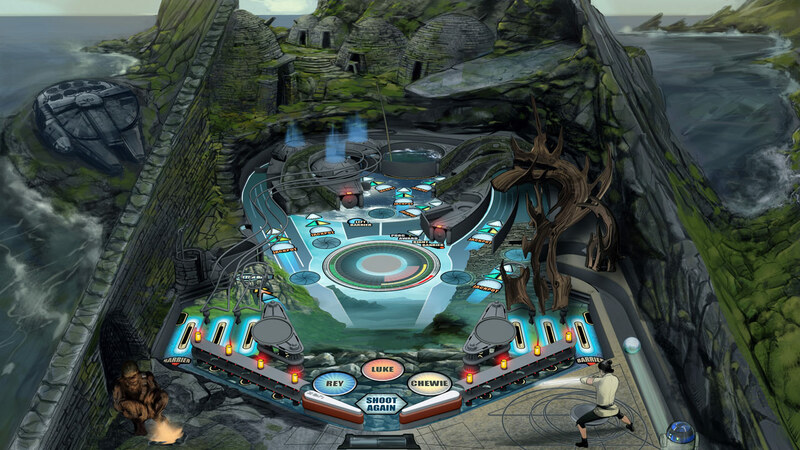 When designing the tables, how did you approach finding the balance of creating an authentic pinball experience while taking advantage of the fact that, since this is a video game, you could have animations or even bend the rules of physics? Dávid Szűcs: Most of the time we aim for the real thing. This, of course, varies among the designers and also depends on the intellectual properties we are working on. Personally, I like to make mechanics work on my tables as if they were on a real pinball table. On “Ahch-To Island,” for example, I use a magnetic locking mechanism during R2-D2’s mode, which could work exactly like that in the real world. But if the IP itself is comfortable with bending the rules of physics or I have a cool idea that could only work in a video game, I never hesitate to experiment with those. 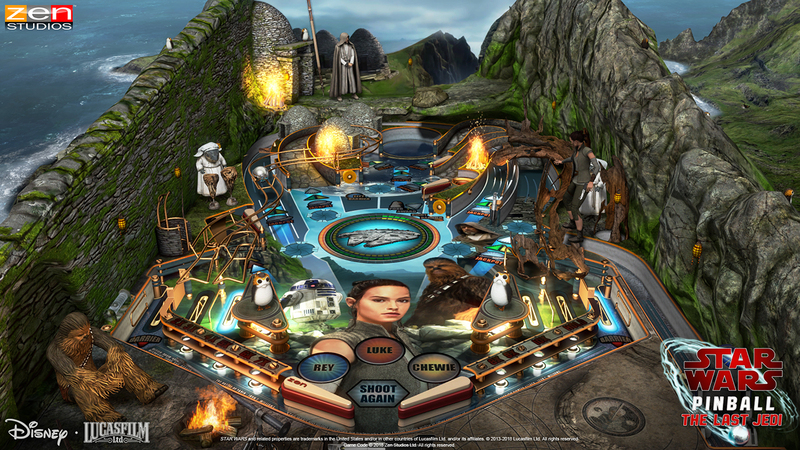 I mean, it would be pretty expensive to make a flying miniature Millennium Falcon take off and drop three balls to start a multiball each time on a real pinball table, as we do with “Ahch-To Island.” But it’s just too cool to be left out. Concept art for The Last Jedi table. Concept art for the Ahch-To Island table. 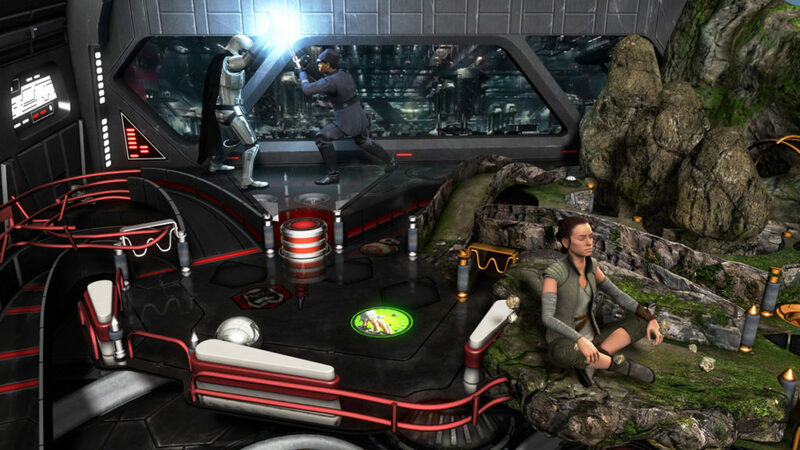 StarWars.com: Yeah, I was really delighted when it would feature surprise in-game animations. My favorite was during the Attack on Crait on The Last Jedi table — you’re wielding many balls at once, all of which leave a trail of red smoky soil behind them, just like the ski speeders in the movie. It just looks so cool. Dávid Szűcs: Yeah, that stunning visual instantly burned into my mind when I saw the first teaser for the film. Peter Grafl, designer of The Last Jedi table, captured that moment nicely, and it is also one of my favorite effects on that table. 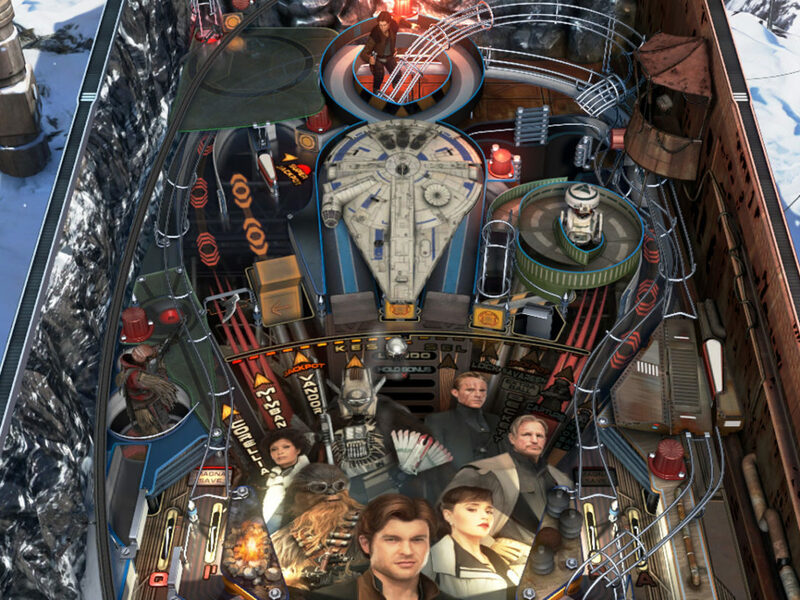 StarWars.com: This is the first Star Wars Pinball game that was built from the ground-up using the new FX3 engine. As developers, what does that enable you to do that you couldn’t do before? 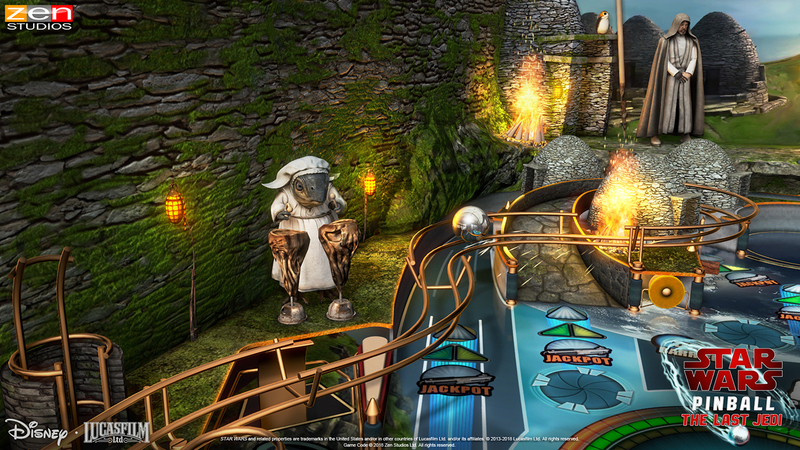 Dávid Szűcs: The most important change for Pinball FX3 is our new lighting system, which can create real-time shadows and much better lighting effects. If you look at the flashers or the glowing balls in certain game modes, you’ll see what I’m talking about. Some neat specific examples would be charging up a ball with R2-D2 or starting Rey’s Wizard Mode on Ahch-To Island. 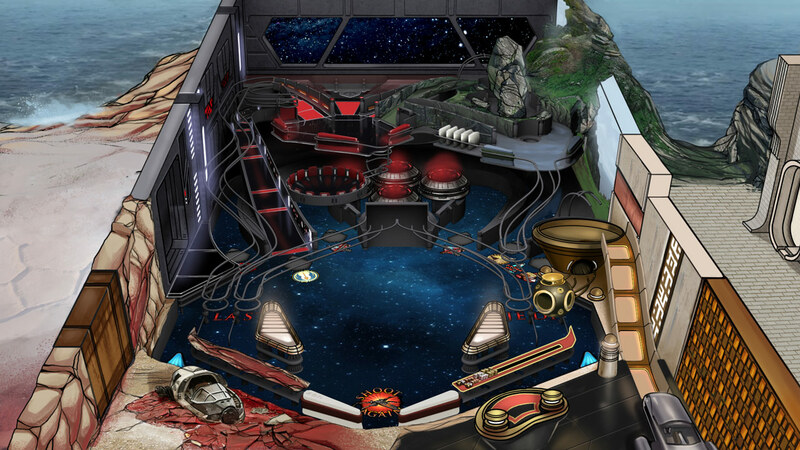 StarWars.com: The play fields on both tables incorporate so many clever details from the movie: a Canto Bight luxury cruiser as the launcher on The Last Jedi table, chirping porgs… What can you tell us about the design process, and incorporating all of these elements in a way that’s both fun and makes sense? Dávid Szűcs: Well, it was quite a challenge for us because when we started to work on the project, we knew very little of the upcoming movie. So in the beginning we had to guess what was going to happen and sometimes we came very close, like R2-D2 projecting holograms for Luke on Ahch-To Island — that was a lucky guess. As we knew more and more details, we tried to look for specific scenes or standout visuals that would work great as a game mode or toy on the tables. 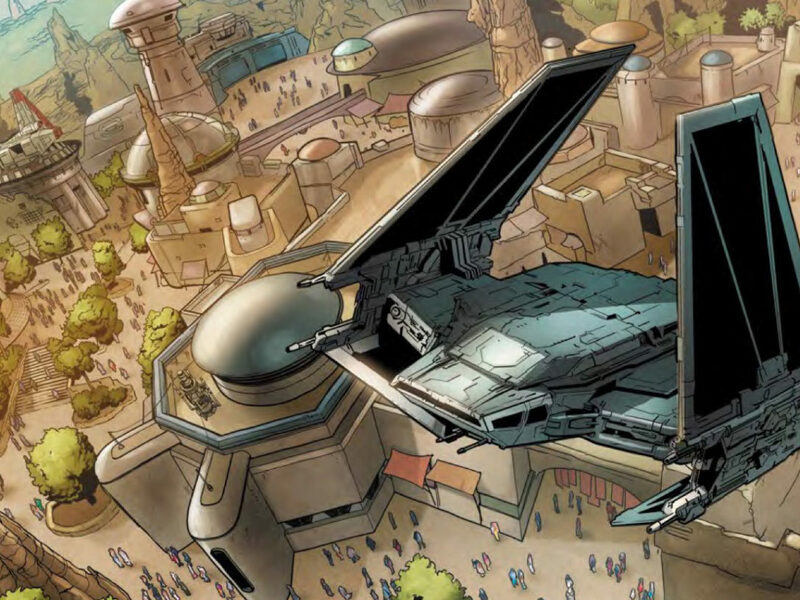 We were after the new additions to the Star Wars lore like the porgs, Canto Bight, or Kylo’s TIE silencer. 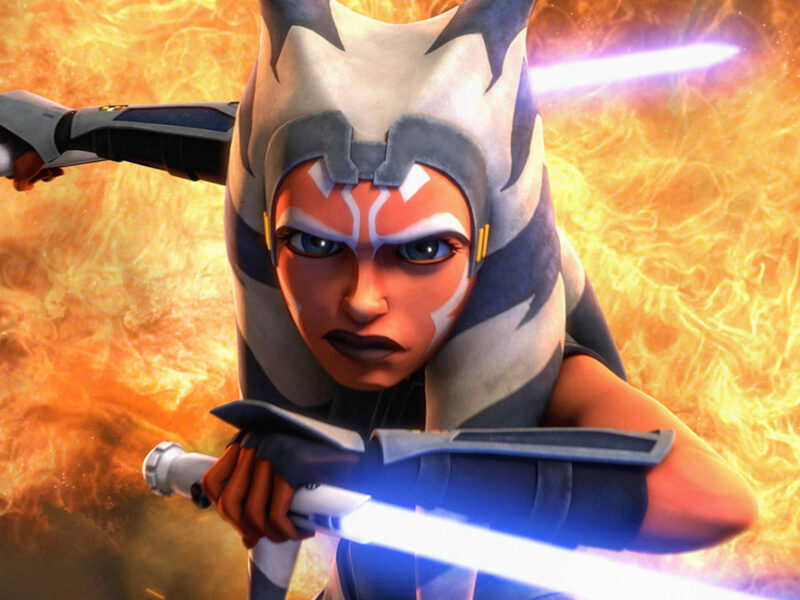 StarWars.com: And what’s your favorite design element? Dávid Szűcs: I took a very different approach on the Ahch-To Island table in terms of how the game modes work. Usually in pinball you have to activate a game mode and when it starts you have limited time to complete it. Naturally, you can fail a lot. On Ahch-To Island, the main game modes will start immediately, and you don’t have to worry about the time pressure. You can’t fail these modes even if you lose a ball. This gives you the opportunity to focus on keeping the ball in play. Also, you will have more chances to get to know the game modes from beginning to end and figure out in which order it is better for you to play them. I’m very excited about this and how it will work out for the players. 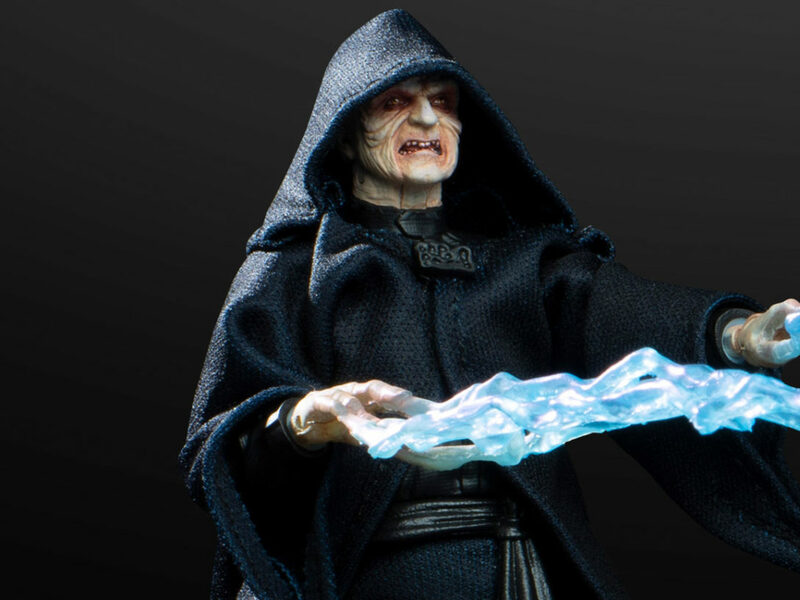 StarWars.com: On the Ahch-To table, you trigger different modes based on characters. For Chewie, your goal is to catch porgs. I won’t spoil how that one ends…but what can you tell us about coming up with this scenario and developing all the Chewie and porg animations? Dávid Szűcs: As soon as we saw the porgs, we knew they were a must have! We were told their relationship with Chewbacca would lead to several humorous encounters, and we wanted to represent that on the Ahch-To Island table. We absolutely fell in love with the scenario, which led to the numerous amusing animations you’ll see on the table. We even had an actor act like a porg in a motion-capture studio! 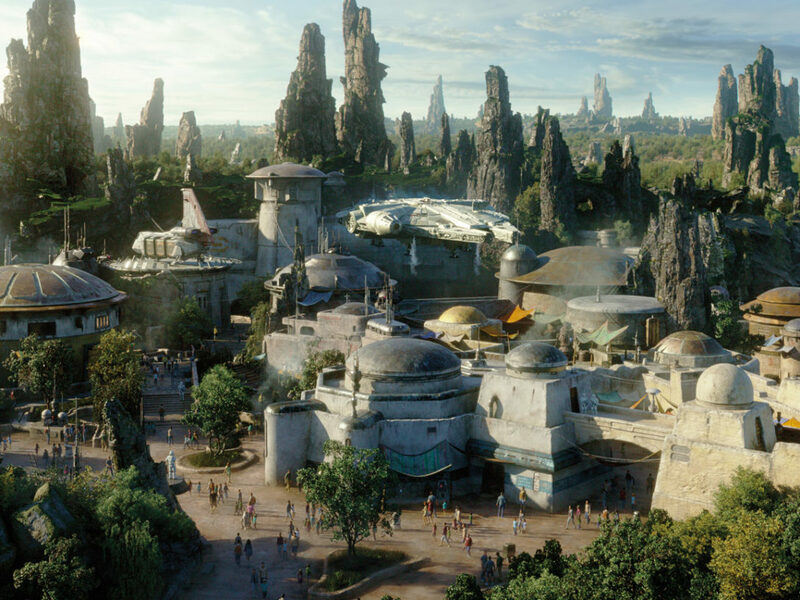 StarWars.com: Finally, what are you most proud of regarding these tables? 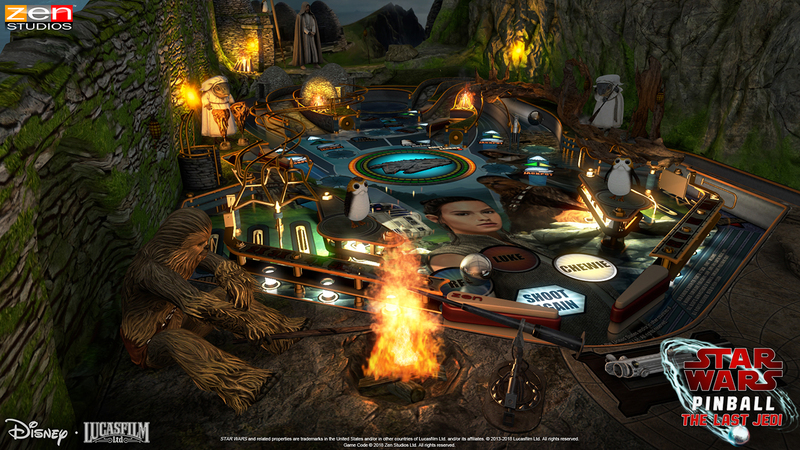 Dávid Szűcs: We are proud to be part of the next set of Star Wars Pinball tables that look and feel fresh. We hope fans will have countless joyful hours playing these tables.